About that hole in my leg: It’s still there being a pain. If you want to see it click here. Don’t click if you don’t want to see icky stuff! It hasn’t healed yet and might take a while longer still. So there’s that. We did recently hit that one milestone where I promised I’d stream sometimes. I’m still thinking about the best way to go about it, since I’m taking so many breaks while drawing because of my wrist, streaming prolonged drawing sessions might be difficult. Right now I’m thinking of some kind of practice stream where I do sketches/studies etc. Doing it this way would force me to do things I generally tend to avoid. Stream announcements will be posted on my twitter, so follow me on there if you’re interested. Holy living… foot. I got DVT in my right leg in 2012. And I think I now have chronic venous insufficiency too, at least some of the symptoms from wiki. Well, time to head for the doctor again. Been a few months too long. Thanks for the reminder. As long as you wear your compression stockings. I got a bit lazy about that and I think that’s part of the reason this happened. The movie with Erin featured on the poster? 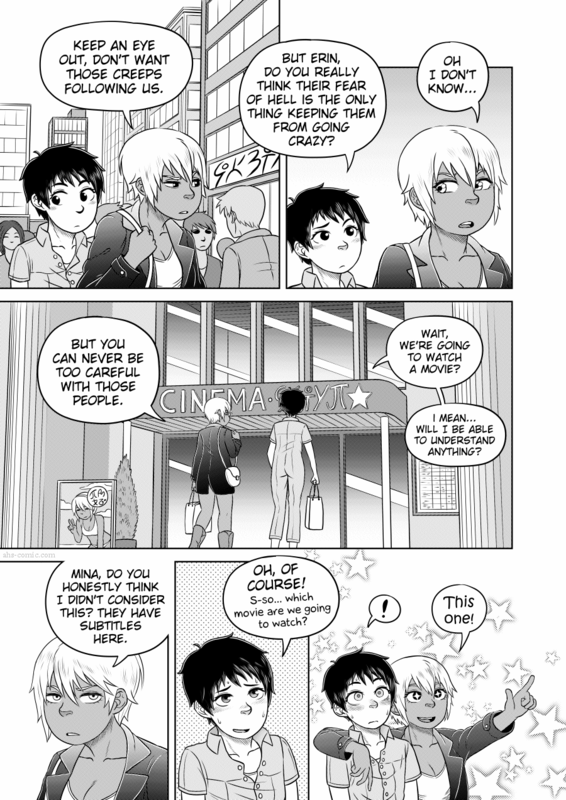 The part of me that might not be the best person in the world is looking at their expressions in the final panel, and hoping this is a fictional country where they show adult movies in public theatres during the daytime! A boat hit my right leg a week after you got that hole. Luckily nothing was broken – but I had a giant bruise. It like I got a leg bruise. Luckily, boats tend to be very rounded on the sides. 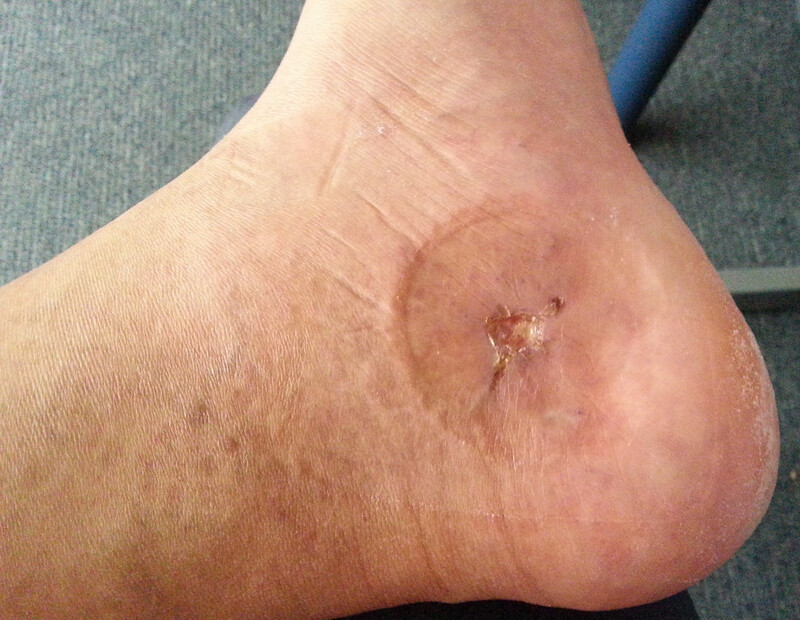 Forgot to mention – the worst of the bruise was in the same area under the ankle bone. It was just a black mark there; I couldn’t feel anything and it was cold. Ok, this doesn’t actually go with this particular page, but: http://sinaloan.tumblr.com/post/91994059316 . The image there is rather fitting for the comic.